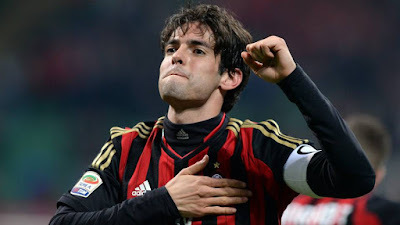 Former Brazilian World Cup champion Kaka announced his retirement as a player on Sunday (Dec 17), suggesting that a management career at his old club AC Milan could be on the cards. "I am preparing to continue in football and to have a different role, but I will no longer be a professional player, an athlete," the 2007 Ballon d'Or winner told Globo television. "I would like to take part in a club in a role more like... a manager, a sporting director - someone between the field and the club."